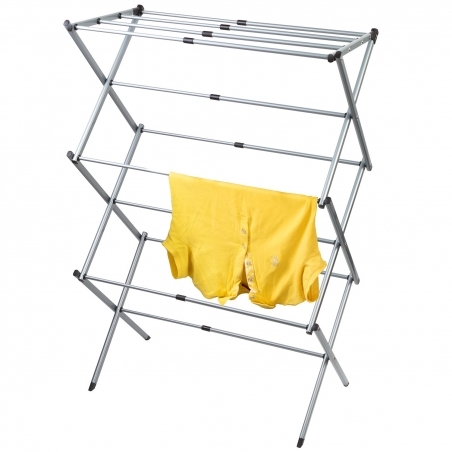 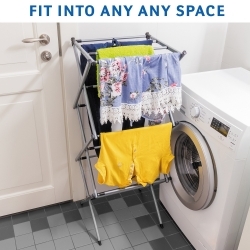 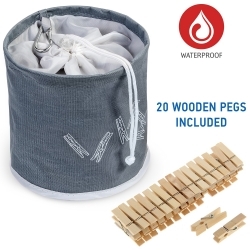 Extendable strong and sturdy clothes dryer holding up to 10 kg of washing. 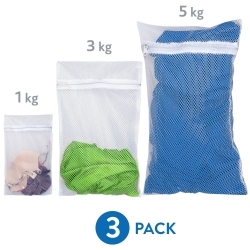 The dimensions of the product: L 44-75 x H105 x W37 cm. 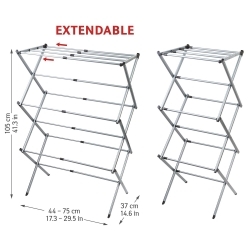 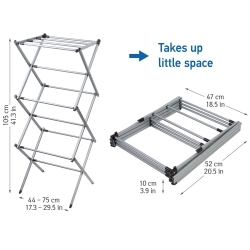 The airer can be folded flat when not needed and nicely stored without taking much space. 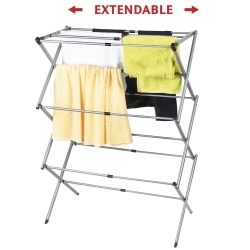 Extendable - adjustable to your clothes and space. Very compact clothes dryer is made of rustproof durable material (painted steel, plastic). Delicate coating doesn't scratch the clothes.